Lori Ann is a disciplined, dynamic, free spirit who constantly challenges herself. Currently, she trains in World Jazz and Latin Fusion with Cecilia Marta and Theatre with Vic Dimonda. She is also a registered nurse and a strong advocate for self-care and health promotion. She is grateful to have discovered the GYROTONIC® Expansion System. She loves how Gyrotonic has allowed her to discover a fuller expression of movement and how to work efficiently from a place of calm. The principles of Gyrotonic ensure longevity in her career as a professional dancer and nurse. Now, as an instructor, she is able to share thetransformative, restorative benefits of a Gyrotonic practice with her students. 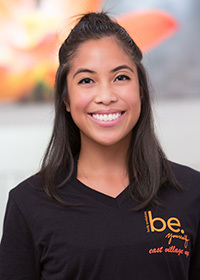 Her goal is to help her clients discover the freedom and joy in dancing their spine and hopes they will leave each session feeling rejuvenated, confident and stronger.